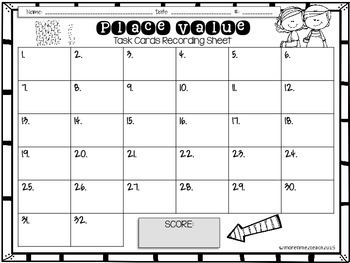 Task cards are a great way to engage, motivate, and assess your students on a particular skill. 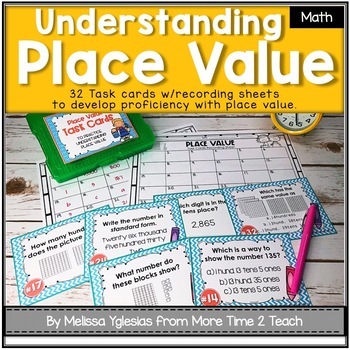 They are great to use whole class, in small groups, in a math center, as remediation, and even as an assessment just to name a few ideas. 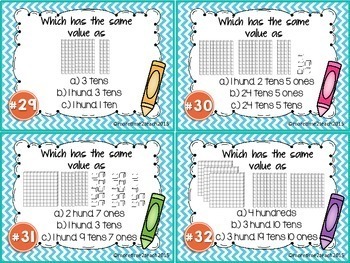 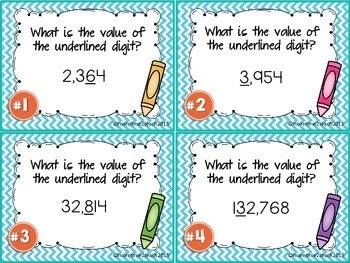 With this set of 32 task cards you will provide your students with the practice they need to master Place Value.